Smith-Blair has gotten the opportunity to have many of our products selected as integral parts in the widening of the Panama Canal. This particular product is a restrained dismantling fitting. 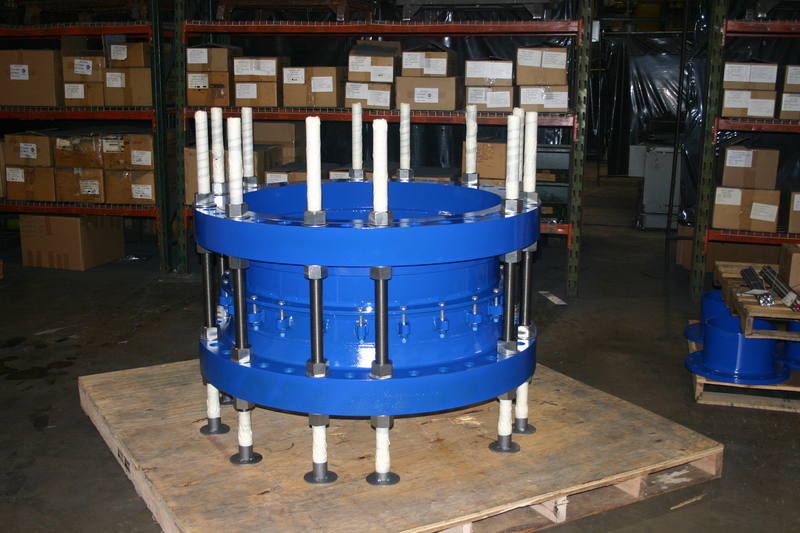 The picture shows a 12 inch restrained dismantling fitting attached to a 12 inch butterfly valve. The dismantling fitting is epoxy coated with stainless steel hardware and is rated to 250 PSI. 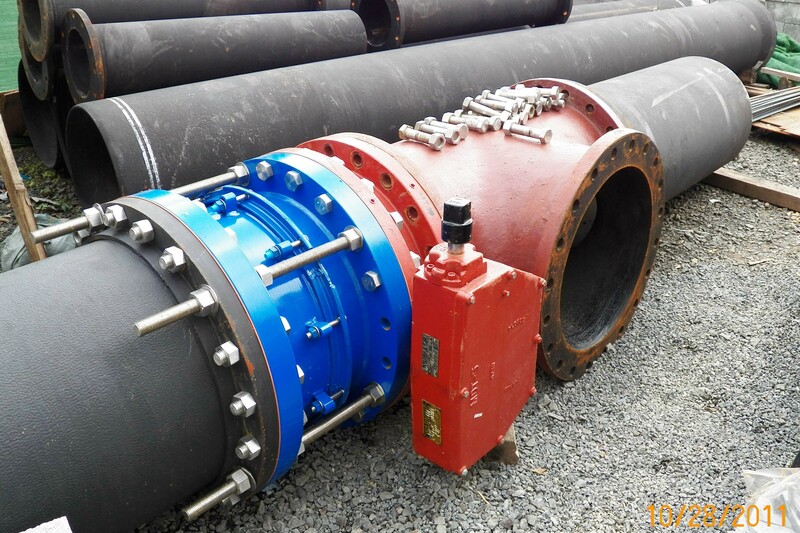 The dismantling fitting will allow for easy removal and re-installation of the butterfly valve when valve maintenance is required. These fittings are part of the new Panamanian subway system pipeline relocation project that involves several thousand feet of pipeline.